This peak is unnamed on OS maps but is named Maume Camb on Bald's map of Co. Mayo (1830). A spur descending to the NNE is called Knockmuredamore. Barnahowna is a townland name. Also called Naweelion. Barnahowna is the 517th highest place in Ireland. 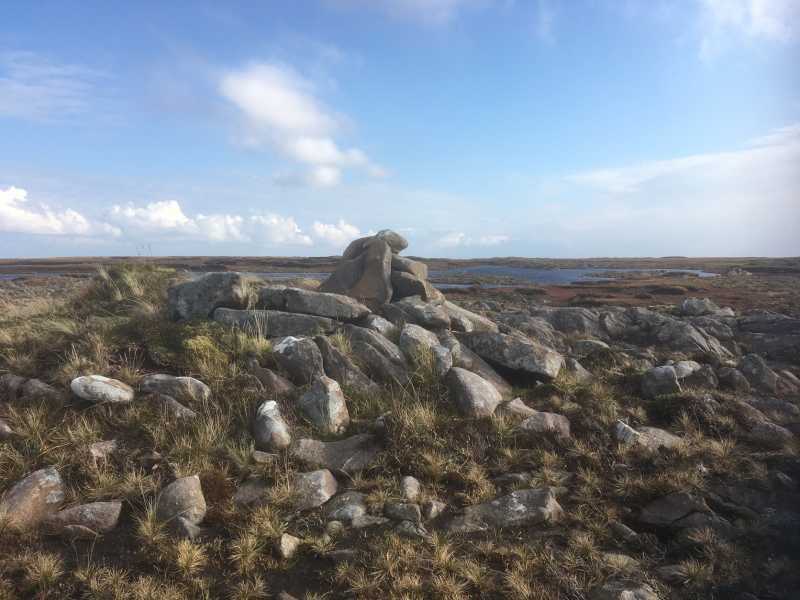 Picture from bryanmccabe : Small summit cairn with lake behind. Picture: Small summit cairn with lake behind.